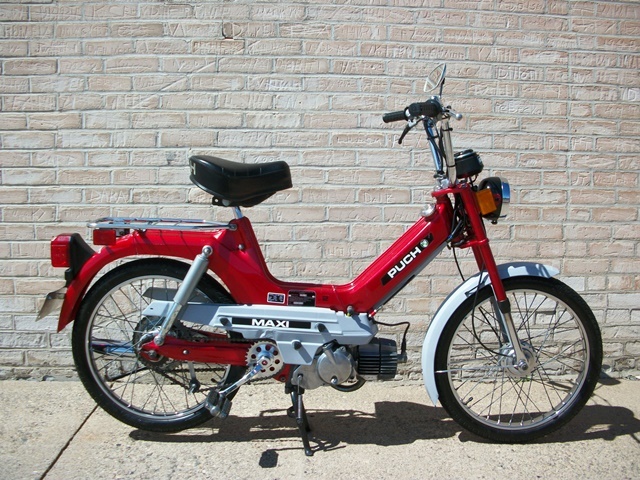 Fully reconditioned red Puch Maxi. Awesome condition with a rebuilt single speed automatic engine, new tires and many other parts. Light-weight and easy to start and operate. 30 day warranty and free delivery! Contact us here for more information. $950.00 $200 down-payment holds this moped for up to 60 days. 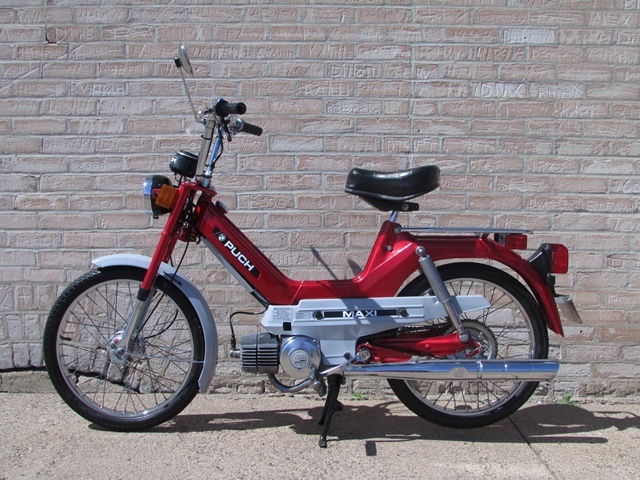 Purchase or reserve this moped now!